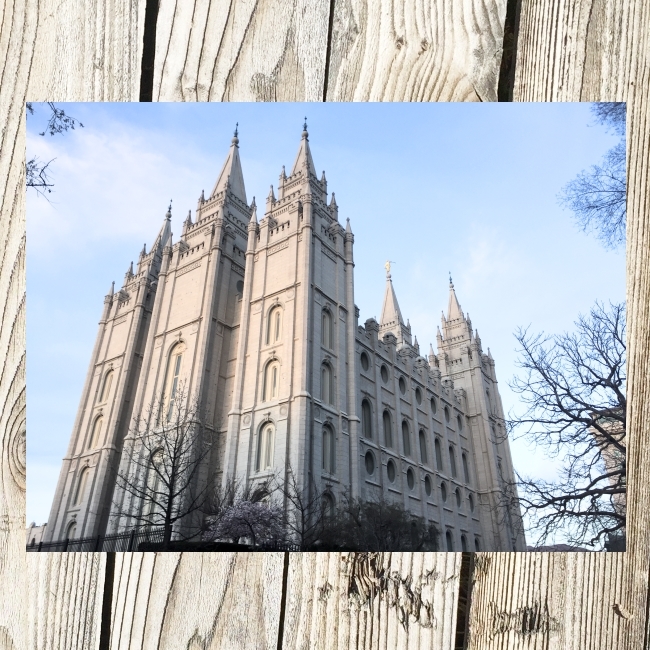 Life's Journey To Perfection: 2017 Sharing Time Ideas for October Week 4: I can go to the temple to receive ordinances for my ancestors when I am older. 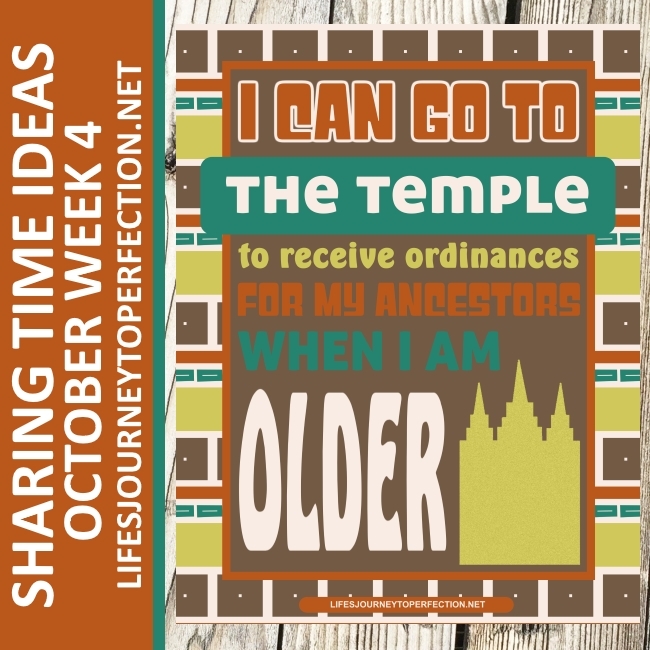 2017 Sharing Time Ideas for October Week 4: I can go to the temple to receive ordinances for my ancestors when I am older. October 2017 Scripture: “And also all they who receive this priesthood receive me, saith the Lord” (D&C 84:35). 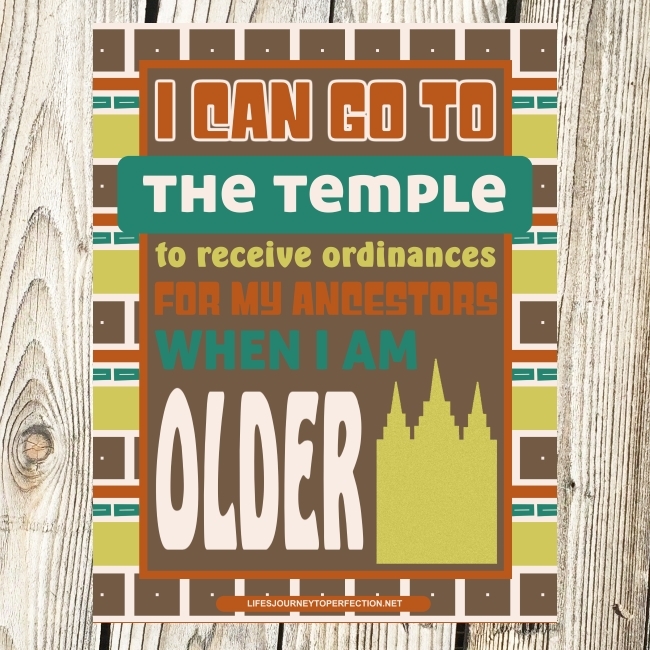 October Week 4 Topic: I can go to the temple to receive ordinances for my ancestors when I am older. Show the primary children the week's theme poster and invite them to repeat, " I can go to the temple to receive ordinances for my ancestors when I am older"
Explain to the primary children that Heavenly Father loves us so much, he wants all of His children to return to him!! There are some ordinances that we need to receive to return to our Heavenly Father, these are called Saving Ordinances. Some people leave this world before they receive these ordinances. Heavenly Father has provided us with a way to help those people. Explain that they can prepare now to go to the temple to receive ordinances for their ancestors. When they are 12 years old they can have an interview with the bishop and receive a recommend to go and do baptisms for the dead. Explain to the children that they are going to do a little activity to teach them about some things they can do now to prepare for the temple and to help their deceased ancestors receive their ordinances. Before primary place a number under 4 chairs. Ask the primary children to look under their chairs to see if they have a number. In 4 sacks, labeled with 4 numbers place the following items: 1- Personal History - Journal, 2- Paper of a picture of an ancestor with a story for (Learn stories of your family members and write them down), 3- Family Tree (Search for your ancestors and fill our your family tree, find those who need their work done), and 4- My gospel standards card (Choose the Right each day). 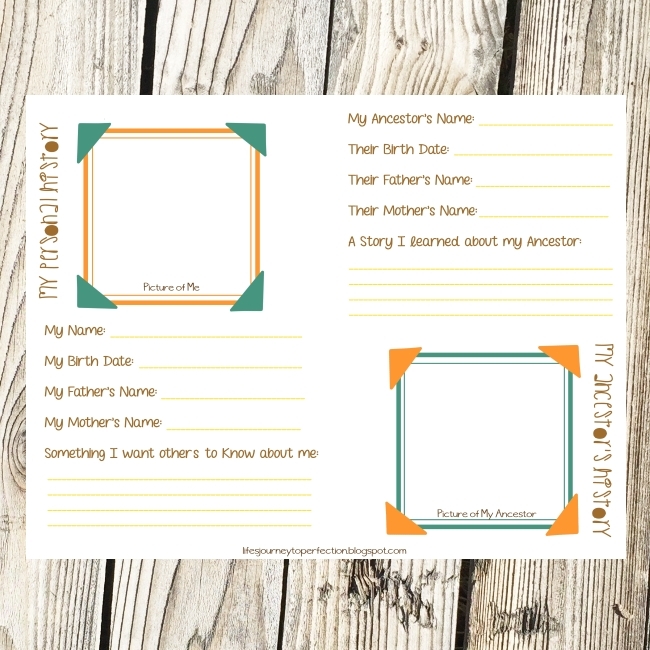 Invite the primary child with number one to come up and pull the item out of bag number 1, discuss with the primary how keeping their own personal history in a journal can help them prepare to attend the temple someday to receive ordinances for their ancestors. See below examples. Invite another primary child with the number 2 to come up and pull the item out of bag number 2, discuss with the primary how learning and recording stories of their ancestors can help prepare them to attend the temple someday to receive ordinance for their ancestors. Invite the primary child with number 3 to come up and pull the item out of bag number 3, discuss with the primary how filling out their family tree and finding those who need their work done can help them prepare to attend the temple someday to receive ordinance for their ancestors. 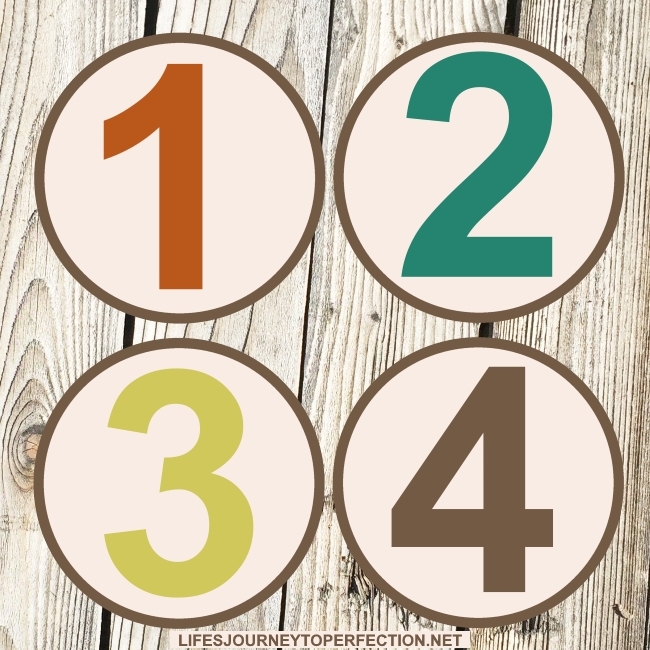 Invite the primary child with number 4 to come up and pull the item out of bag number 4, discuss with the primary how choosing the right each day and following the My Gospel Standards can help them prepare to attend the temple someday to receive ordinance for their ancestors. Close by sharing your testimony on the topic and encouraging the children to prepare now so they can attend the temple someday and receive ordinance for their ancestors. 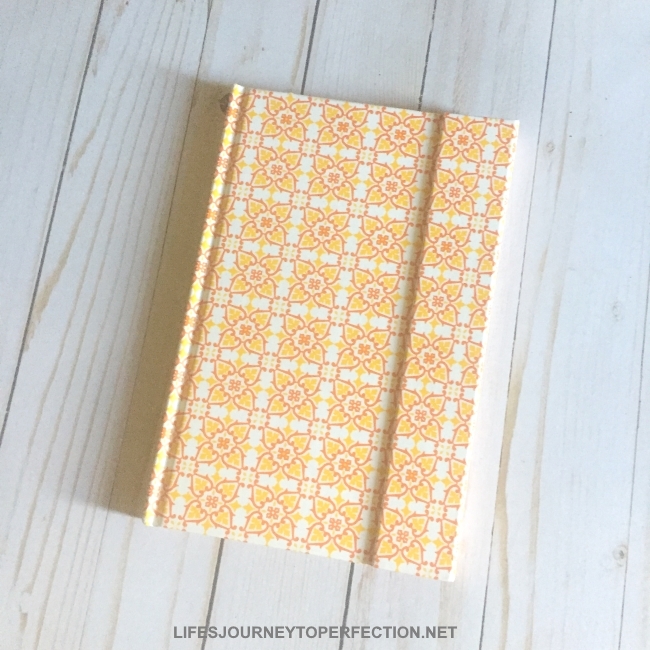 Personal History - Journal: Keeping a personal history can help us remember the things we experience as well as our blessings. It is our record to pass down to generations, it will allow our children and grandchildren to draw closer to us, as they read these experiences. It can help us remember times when we have felt the spirit or received promptings. These things can help prepare us to go to the temple someday. 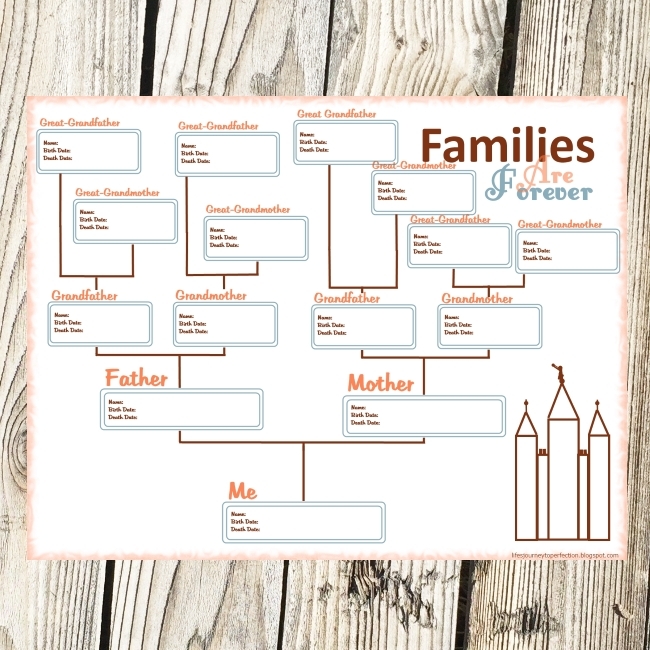 Search for your ancestors and fill out your family tree, find those who need their work done: As we find those who need their work done, we will feel closer to them. Although you can not do baptisms for the dead until you are 12, you can still look for names and help so someone can do their work for them. 2017 LDS Sharing Time Ideas for October Week 2: We receive the ordinances of salvation through the priesthood. 2017 LDS Sharing Time Ideas for October Week 3: I can receive strengthening power through priesthood blessings. Thank you so much. You are my go to resource weekly. The kids love your ideas and I do too. Wow! This lesson is perfect! Thanks so much for you preparation and willingness to share! Yay! I am so glad it was helpful :) Thanks so much for your comment!